Last summer, I honestly thought I would be able to begin teaching B to swim this summer. After several weeks I realized we needed to be in the pool 3-4 days a week (at least) for him to begin grasping the basics of swimming. I also realized I didn't have the patience to teach his 2 year old self. My husband and I discussed swim lessons, but the available dates didn't work with our scheduled vacation, out of town family visits, or Vacation Bible School. One evening while swimming at the Y we watched a mother with her young son and daughter. Both children were swimming (short distances) and the boy appeared younger than B. We noticed his shirt read "ISR Crossfit Kids," so we asked her their ages and where they had taken swim lessons. She proceeded to rave about the Infant Swim Resources (ISR) and how they had just partnered with our YMCA to offer lessons. We had previously looked into the lessons the Y offered and Seal Swim school, but after researching ISR and seeing the children mentioned above swim my husband decided to look into the next session, which was set to begin in July. I was a little apprehensive as the lessons are 10 minutes, 5 days per week for 6 weeks. I knew that would put us right at my due date with Zoe. However, we signed B up with hopes that after 6 weeks he would have better breath control, be able to swim a little, but primarily be able to float if he were to fall into a pool. 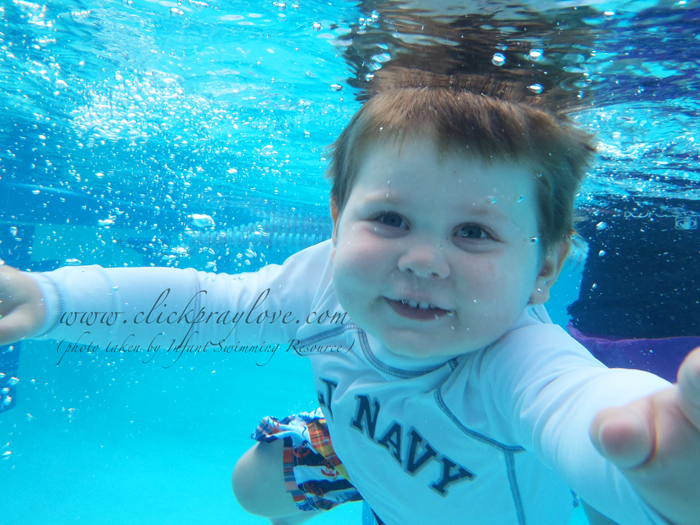 "Lessons for children 1-6 years old learn hold their breath under water, swim with their head down and eyes open, roll onto their back to float, rest and breathe, and roll back over to resume swimming until they reach the side of the pool and can crawl out or until they can be rescued. Once the children are fully skilled they will practice ISR’s survival techniques fully clothed during lessons. It is recommended that children complete refresher lessons to help their in-water skill level grow with their physical development." 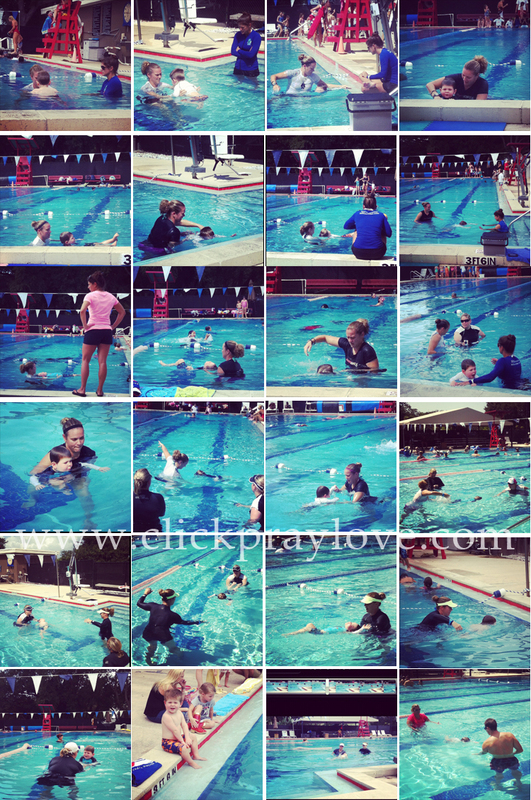 To say we are pleased with our 6 weeks of ISR swim lessons is an understatement. I would recommend ISR to anyone with young children who do not know how to swim. Upon completion of ISR's swim lessons B can hold his breath for 3-5 seconds, float on his back, and complete the swim-float-swim series for safety. However, we realize these skills may not carry over to next summer, but ISR offers and recommends refresher courses that are 1-2 weeks. The instructors were wonderful. We were blessed to have Allison and Christi who were training to become instructors, so Katie and Jen were the experienced instructors that were present during his lessons, as well. Our only problem is he's refusing to transition from swim to float now that lessons are complete. He does great and follows the instructors cues, but when swimming with Sam (I have not been able to swim with him since giving birth to Zoe a few weeks ago) he wants to float, the flip and swim to the edge even when he is tired and out of breath. Be sure to check out ISR's website for more information. It was definitely worth the time and money. That is awesome! Go Bennett! I have to say just watching this made me nervous as hell even though of course I knew he would be helped immediately if he got into trouble! That is awesome!! When my boys get a little older I will have to see if that is offered where we live. I'm amazed at how many pools in people's backyards do not have fences and it was all I could do to keep one of mine from walking straight into the pool multiple times at a party recently. I did not enjoy the party at all because I know how fast little ones can get away from you and into big trouble like that. That is so awesome!! Will look into those!